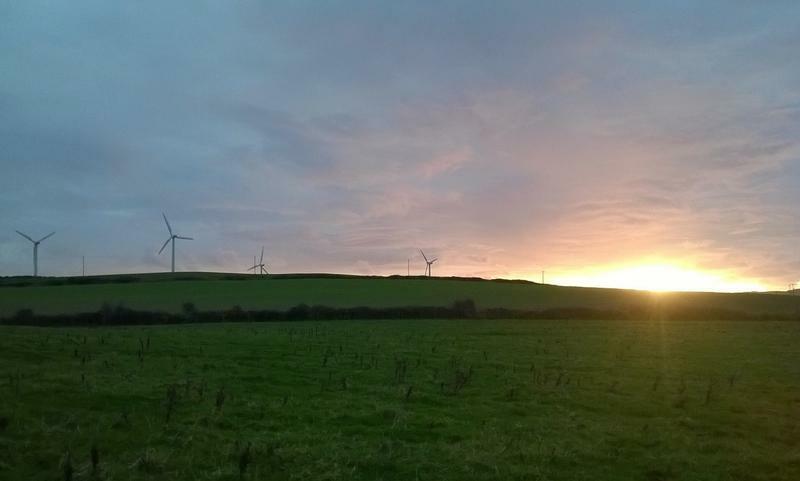 In November 2014 Wessex Archaeology undertook a watching brief during the installation of a temporary anemometer mast at Rhyd y Groes windfarm on Anglesey. Archaeological monitoring of these works was required as to the east of the site lies the Werthyr earthworks, a large enclosure thought to be in use from the Late Iron Age into the Romano-British period (100 BC- 410 AD). This feature had previously been investigated by Wessex Archaeology in conjunction with Channel 4’s Time Team. On this occasion the areas to be monitored were very small and no features or artefacts were found. 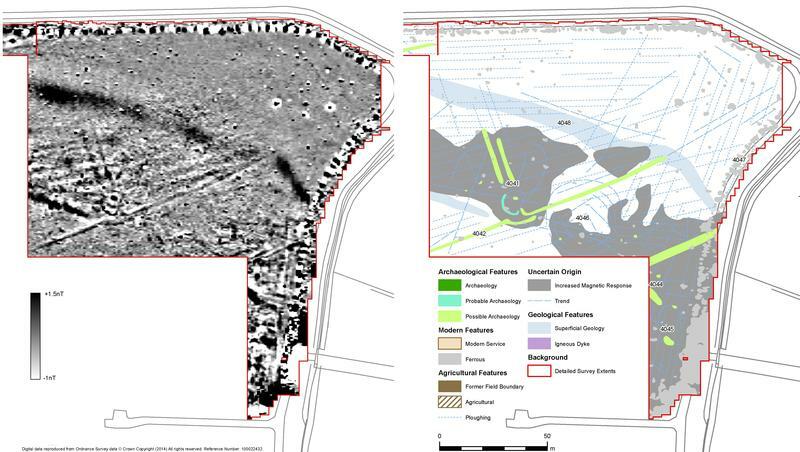 Subsequent to this in January 2015 Wessex Archaeology were commissioned to undertake geophysical survey across the windfarm as part of a proposal to repower the site. This identified a number of features which might be archaeologically interesting including several ditches and enclosures. As part of the windfarm proposals, these areas are likely to require further archaeological investigation.